Essential to synthetic chemistry, organolithium reagents are also sometimes pyrophoric, spontaneously catching fire in air, bringing the risk of injuries like those that killed University of California, Los Angeles student Sheri Sangji. The danger comes because of their powerful reactivity, which also makes them prone to undesirable reactions, like forming useless by-products with traces of water. 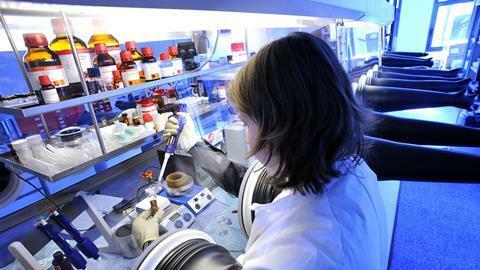 Chemists are therefore careful in using organolithiums, usually shrouding reactions in blankets of inert gas, and cooling them to -78˚C to prevent unwanted side-reactions. 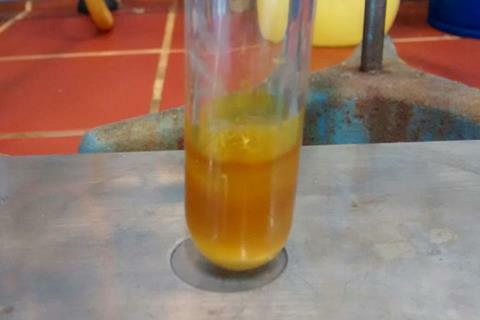 The approach Hevia, García Álvarez and their colleagues use could scarcely be more different, thanks to their DES, made by mixing choline chloride and glycerol. 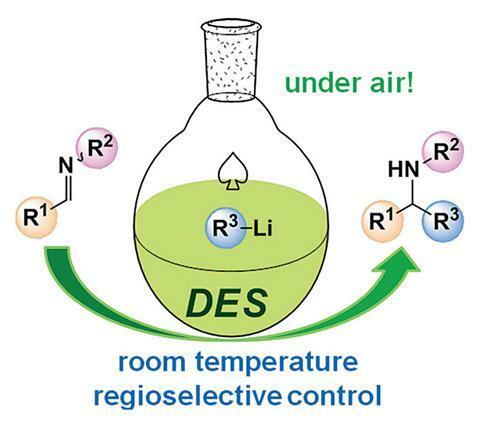 In the chemists’ latest work, they transfer organolithium reagents under inert conditions to imine or quinoline electrophiles dissolved in uncooled DES in an open tube to produce amines. The reason this is possible, Hevia explains, also means that the reaction takes less than three seconds. Unlike other solvents used for organolithium alkylations, DES is non-flammable. ‘You don’t have the vapour of an organic solvent, so even if you have a flame it’s less of a problem,’ says García Álvarez. The DES also has a high heat capacity, meaning it can easily withstanding heating from exothermic reactions without a cooling bath. ‘To carry out chemistry that in industry usually requires cooling to -78˚C at room temperature would mean a significant production cost decrease,’ Hevia observes. The approach ‘opens new doors to greener and safer chemical transformations’, according to Beatriz Macia-Ruiz, who works with organolithium reagents at Manchester Metropolitan University, UK. She adds that the methodology ‘is of high interest in synthetic chemistry’ because it’s fast and simple, and compatible with functional groups that can be displaced later. ‘This work provides an additional valuable example that organic transformations mediated by highly polar organometallic compounds can be safely and conveniently run using DESs,’ say Vito Capriati from the University of Bari, Italy. Previous examples include Hevia and García Álvarez’s team’s initial work adding organolithiums to carbonyl compounds2, and Capriati’s team’s use in heterocycle synthesis3. Further broadening DES use ‘will be the way to bring chemistry back to life’, Capriati says.